Hooray! It’s back! After weeks of saying I was going to do it, I’ve finally gotten around to doing some Friday Night Art! I had an idea the other day, as every time I’ve done these Friday night art posts I always post them way to late in the night as I’m usually drawing them that night. Not so now, tonight I thought I’d post up some of my old favourite sketches first and then do some drawing so I can then, next week post tonight’s drawings and then do some new ones! Damn I’m clever…. Was for a mate of mine who was having a zombie pizza night at his house, which ended up being a really awesome idea and it was good fun I must say. 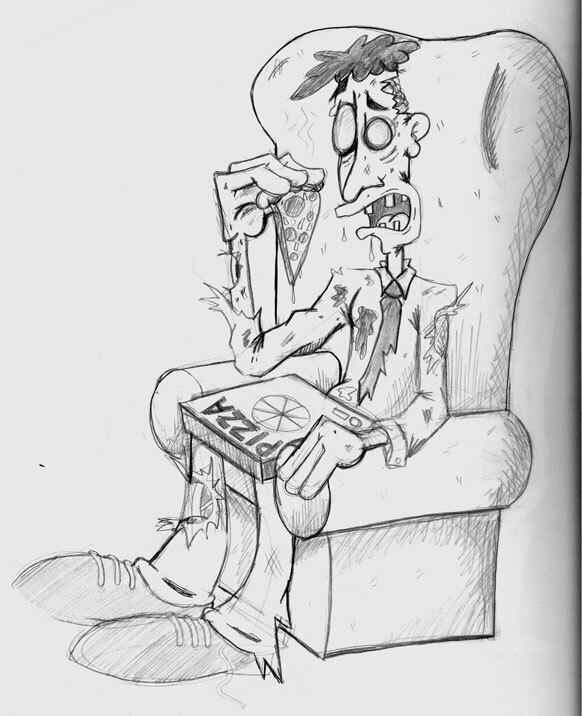 Anyway, he asked me to draw something up for the invites to his “ZombiePizzaLooza” so I came up with this. This sketch I drew years and years ago on a train ride home from work. I have no idea what the inspiration was, I just started drawing, I still love this character design. 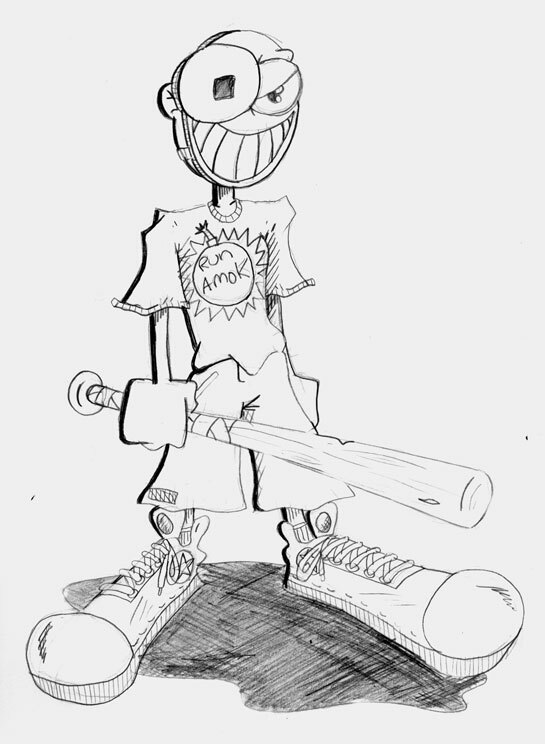 A good buddy of mine had this band way back when and he asked me to design a t-shirt for the band and I ended up using this character for that, hence why I later added the “Run Amok” logo on the t-shirt as that was the band name. I’m thinking I might do some more sketches of this guy again soon and I think I’ll keep the t-shirt, even though the band isn’t around any more as I like the idea and it can be a homage to those guys. Anyway, hope you like my sketches! See you again on Monday!